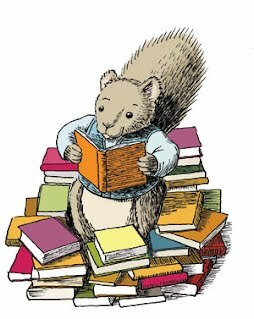 Our annual Summer Reading Program starts on Monday, June 3, which means this past week has been a flurry of getting everything in order. Volunteers have been trained and scheduled. Early Literacy Calendars have been updated and printed. Summer Seek and Find characters have been assembled for their passive program duties. Materials have been organized. The last thing remaining for me to do is to really beef up our ready reference book lists for kids. As is the case at many libraries, I work a shared reference desk. As a result, about 50% of the time the children's staffers are assisting with adult questions and adult staffers are assisting with children's questions. Not all staff read children's books, so I like to have ready-to-go resource lists to make sure kids get great reading suggestions regardless of when they visit. We also have state award nominee bookmarks at the reference desk, and we have Caldecott and Newbery lists within easy reach. My teen services staffer has also put together a binder with all our local schools' summer reading lists. All of these combined resources mean that reference staff have lists of great kid-friendly reads--and the books teens will be searching out for school--at their fingertips. Everything can be photocopied, and everyone can leave the library happy and with something to read. That's one of the best ways I can think of to promote a successful summer reading program. What sorts of resources and book lists do you have ready to go at your reference desk? Over the weekend, I led my third ever Milk & Cookies Story Morning family story time program. For more specific details of my rationale in offering this new weekend program, you can see my first two posts on the topic. Suffice it to say that my personal must-haves in the program remained the same: transmedia, interactivity, a folk/fairy tale, and time for free play--this time including some simple science activities. I prefaced this story by saying it was about growing all sorts of vegetables, and I asked the kids what vegetables they knew. Throughout the story, we would point out the vegetables we like. The last page shows a feast of foods created with the veggies, and we had a fun time naming all the dishes. A roll of the song cube dictated that we would be singing "Five Little Ducks," so I pulled out five little rubber duckies as a visual counting aid. During the first verse of the song, I was pretty much the only one in the room singing and making the mamma duck's big "QUACK! QUACK! QUACK!" By the final verse, though, everyone was joyfully singing with me. A wonderful benefit of repetitive counting songs and rhymes: kids catch on and gain confidence as they go. To use this app in an interactive way in the program, I turned off narration and background music--all noise except the animal noises. I cued the app to the first "page," which shows a lion crouching in some grass. 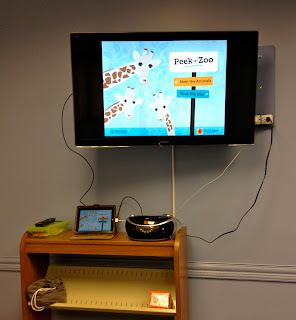 When it was time for the app, I turned on our tv and we took a walk through a zoo. Each animal has a two-stage process: one where you can try to guess the animal by what you see on the screen, and the second when the animal appears in full and you hear the sound it makes (the second page also shows the name of the animal written out, so one could talk about letters, too). I asked lots of questions to help kids guess the animal they might see next, and we used clues from what we could see in the animal's environment to help us figure it out. One of the things I love about this app is that the animals are not just your stock zoo animals--it includes a number of lesser-shown ones, like walruses, too. I engaged caregivers in a brief tidbit about the difference between using technology with children passively--e.g., sitting them in front of a tv or device unattended--and actively--i.e., engaging in the technology with them. As the picture shows, my iPad setup includes using a Digital AV Adapter and HDMI cable. I operate the app from the iPad, which is mirrored onto the HDTV screen. I love this song and use it all the time. It's a perfect length for keeping kids interested, and when I pass out the egg shakers, everyone's excitement levels go up a bit. That makes for a great interactive program element. Only one or two kids in the program were already familiar with this story, so I was very glad I selected it for our story time. It's a great one for getting kids involved in trip, trapping across the bridge, and it also allows the use of some great silly voices for the billy goats and troll. I handed out multi-colored scarves to all of the children, and once they had stood up we began waving our scarves. I put on "Dancing Scarf Blues" by Carole Peterson, and we had some fun waving our scarves around to the music. This weekend's selection included chocolate chip cookies and 2% milk or pink lemonade. There was at least one dad who looked like he wanted a cookie, too, but when his wife opted not to have one, he did the same. The kiddos loved it, though. As with previous weeks, I set out little play stations with lots of the library's stock of early learning toys. We had building blocks and pipe builders, build-a-monsters and wooden cars with garages. New this time were some magnetic writing boards--always great to work some writing in!--and a repurposed train table frame that I turned into a science station. 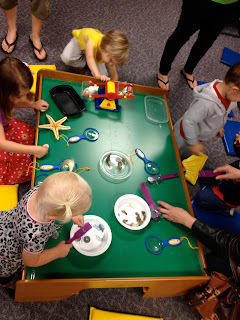 I set out magnifying glasses with seashells, a starfish, and feathers to explore up close; magnet wands with a variety of sizes of paper clips, washers, and jingle bells; and a balance scale with random objects to play with weight. Every child went to the science table for at least a few minutes, which made it the hit of the free play time. All the stations get pretty well explored and the toys played with--nothing like some free time to interact with the world as you please. An aside: I am starting to realize that, if this program's attendance keeps growing and I still really want to focus on the free play (which requires space), I may have to adapt the milk & cookies portion of the program. My program room isn't big enough for a larger crowd to have space to sit down and move around in story time, sit at tables for the snack, and also have toys set out with room to play. I'm going to think about options like lunchbox-size cookie snack bags and juice boxes or milk cartons--things that can be enjoyed, picnic-style, without big tables and chairs and without to much threat of spills. Anyone have any ideas? Summer reading is afoot, which means I've spent some time over the last few weeks visiting local elementary schools to whip up excitement for our annual summer reading program. This is my second year making these specialized school visits, and I've learned a few things along the way. An image of my library -- Many kids don't know the name of the library they go to, but they recognize the building when they see it. Including a picture of my branch at the beginning of the rally helps kids make a personal connection with what I'm talking about. A verbal listing of all the potential prizes for signing up and reading -- It can be hard for elementary-aged children to remember specifics about what prizes they could earn, but when I rattle off a rather impressive (if I do say so) list of lots of prizes, they are left with the impression that summer reading is very, very rewarding. My library district has a lot of local sports teams and restaurants that partner to provide vouchers and coupons, so lots of those prizes I get to tout don't cost the library anything but printing. 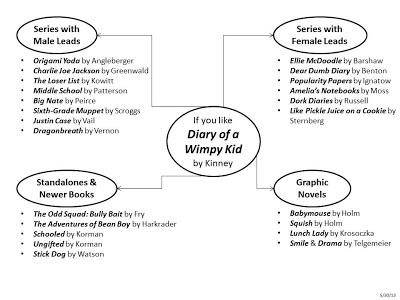 A slide with the next school year's age-appropriate book award nominees -- Schools in my area are really big on state book awards, and teachers regularly motivate their kids to read as many nominees as they can during the school year. That means more and more kids get ambitious and want to start reading award books "early." I've found that sharing some covers and very brief book talks of nominees is a surefire way to ignite interest in reading over the summer. A reminder that audiobooks count for summer reading -- Lots of kids spend lots of time in the car over the summer; I like to remind them that they can listen to audiobooks from the library whenever they're in the car, and that time counts toward their final reading goal. Knowing that they can get some reading done via audiobook makes the program seem much more manageable to many kids. Names of the kids who did the summer reading program last year -- My library district keeps track of the names and schools of kids who finish the program, and we report this info to the schools at the end of the summer. I hold onto the list to add a slide with the kids' names to my rallies, and I make sure to acknowledge their achievement and ask for their classmates' help in applauding them. Nothing like a bit of positive peer pressure and motivation through recognition. I've found that these rally elements can do the most to drum up excitement and keep kids' attention. Also, in the course of visiting schools for these summer reading rallies, I have noticed that the time I am formally alloted to speak and the time I actually have can be very different. There are two common scenarios for timing issues: 1) I'm told I'll have x amount of time, but then I end up speaking after the kids get seated, the principal talks, and the school librarian talks, which has essentially cut my time in half; and 2) I'm told I'll have x amount of time but then five (or even ten) more minutes get tacked on to better fit schedules. When my time is suddenly shorter than I'd anticipated, I work really hard to just hit the basics. What's going to get the kids to pester their parents into driving them to the library? I only include that info, and I leave the details for when they come to the library to sign up. When my time has unexpectedly expanded, I tell a story. Yes, I've become one of those librarians who always has a couple of stories in her back pocket, ready for any of those 3-10 minute lulls in the planned action. This past week, when teachers insisted they needed to stay in the assembly for another 5 minutes (reason still unknown to me), I told "The Old Woman Who Lived in a Vinegar Bottle." What could have been a chaotic 5 minutes with kindergarteners at the end of their ropes was instead a quiet room of kindergarteners rapt with attention. Crisis averted, literacy and stories affirmed. I enjoy visiting elementary schools in the lead-up to summer reading. It helps me get all the details of our massive program straightened out, it's a way to introduce myself to tons of kids, and it promotes our program and the idea of leisure reading. It's a very specific type of outreach with very definite rewards. Do you visit local schools to promote summer reading? How do you get the word out? This week, a battle took place at my library. In the program room, to be exact. Don't worry, the battleground was prepped and the skirmish was intentional. It was all a part of my school-age STEAM program, Attack on the Fort! I told the story of the Trojan War. As a preface to the topic of attacking a fort, I told an abbreviated version of the Trojan War myth. I started with the goddess beauty contest judged by the Trojan prince Paris; told of the theft of Helen from Menelaus and the sailing of 1000 Greek ships for Troy; and the 10-year stalemate that finally ended in favor of the Greeks thanks to the strategic genius of the Trojan Horse. In favor of keeping the kids' attention, I just hit the highlights and focused on the culminating action. We built catapults. The basic catapult construction requires 10 popsicle sticks, 4 or 5 rubber bands, a bottle cap (or other shallow cylinder), and something to affix the cap to the arm (we used velcro dots). Assembly instructions here. 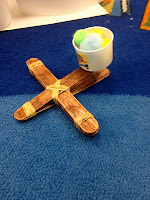 I demonstrated each step of the process with my own catapult, and I walked the room helping as requested. The kids built forts. I had plenty of large sheets of construction paper, straws, popsicle sticks, tape, markers, and scissors to allow for creativity in the fort engineering process. Once again, I was flabbergasted by the ingenuity of the kiddos. Some made turrets, some made walls, some made total fortresses. We had a battle. I had the children set their forts on the ground in a round; that way the battlefield was in the center of the forts, and all outward-shooting catapults would be sure to hit something. I handed out pom-pom balls as ammunition, then told the kids to prepare their catapults. I counted down for the opening shots, and from there it was total thrilling, soft, puffy war. The battle went on for a good 15 minutes, with little appearance of fatigue from any of the children. After the program, the children were able to take home their catapults, a few pieces of ammunition, and their forts, which was obviously very exciting--the kids always love to take home their creations. I had lots of positive, enthusiastic comments from both children and caregivers who attended; they loved the simplicity and freedom of the program, and they loved the chance to get to make something that was "so cool." Attack on the Fort! was definitely that: simple, minimally-structured, and cool. STEAM and unprogramming, two of my favorite ways to think about children's programs. I'm over on the ALSC Blog today sharing my recent Parachute Science program, which was a hit with the school-age crowd. Jump on over there for full details and steal this program for your library! I used this story to great success at my April Milk & Cookies Story Morning, and I gave it an encore performance with this new audience. They enjoyed it, and they also thoughtfully gave comments on why it is better to be nice to others than to be mean or scary. 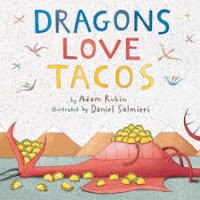 A colleague recommended this story as a great read-aloud last month, and I am happy to report that she was correct--my kiddos really enjoyed this story. Calvin, a dog, is dismayed to find that Gloria, a cat, is now living at his house, and his attention from his owners has dwindled. 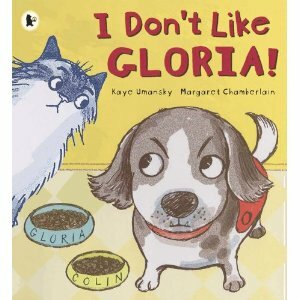 Of course he blames Gloria; until another animal is added to the mix, that is. We talked about why being friendly might be better than growling or being mad at a new pet/friend; this book would also work well for children with new siblings. Rhyme: "The Grand Old Duke of York"
We did this rhyme as a stretch rhyme, clapping our laps to march and then raising/lowering our hands as the rhyme dictates. Much to the children's delight, we tried to do the rhyme faster and faster until finally all we could do was move our hands. Lots of giggles ensued. This book and its counterparts by Mayer are classics for a reason: perfect pacing, safe exploration of children's fears, and humor mixed in. These books never fail to quiet the entire room of children as anticipation mounts. Rhyme: "Five Little Monkeys Swinging in a Tree"
I think I would have riots on my hands if I didn't finish off the outreach year with my five monkey finger puppets and Al, my alligator puppet. Have you ever asked children to practice their alligator chomping noises? They are impressive. I hadn't originally planned on using this story this month, but when it showed up on my desk the morning of my first May outreach visit, I knew I had to work it in. This title is slightly longer than the others, but it holds high potential for absurdity and hilarity. I don't want to spoil it for you--check it out at your earliest opportunity. Suffice it to say that this was a perfect story to end with. Normally, I use "If you're happy and you know it, wave goodbye" as the closing verse for this song when I am indoors in classrooms. On the last story time visit of the school year, though, I'm willing to get noisy and default to the traditional "shout 'hooray!'" Oh, yes, it gets loud, especially on the last line when children really give it their all. If that last moment of fun is how they remember the year in story time? Well, then I think I've done my job. Welcome to the final entry in the Start with a Book Blog Tour! Don't forget to check out the rest of the posts from some fabulous youth services bloggers; links are in my opening post. And now, without further ado, I'll share how I'm using Start with a Book and its resources now. 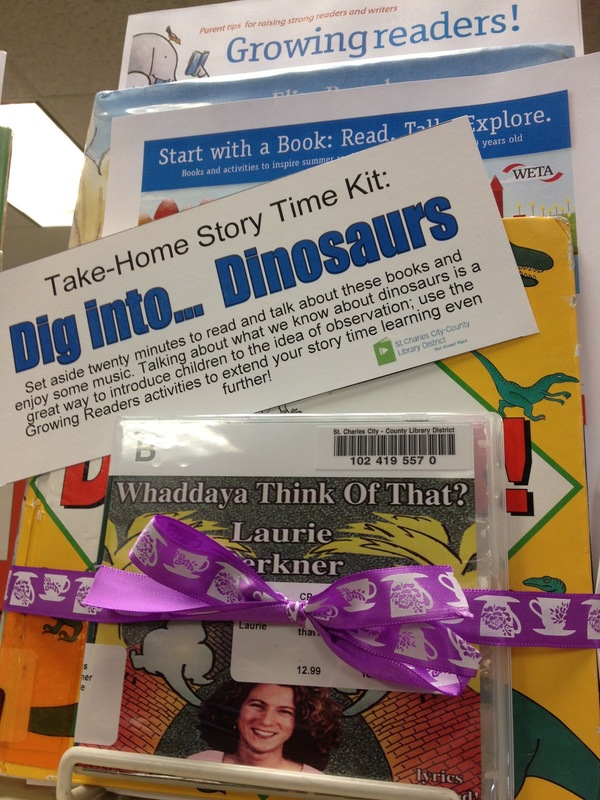 I blogged last year about my Take-Home Story Time Kits, neat little bundles of stories and music for caregivers to engage in story time at home. Caregivers (and other librarians!) love them, and guess what? 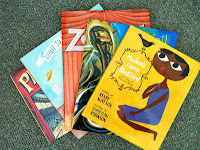 Start with a Book, with their 24 Summer Learning Themes (many of which contain great STEAM tie-ins), offers some great resources for a new twist on those bundles. One of the things I love love love about the Start with a Book themes--and the bundles I can create with them--are the great STEAM options. There's STEAM at a basic level: the book lists include lots of great non-fiction titles. There's also the fact that so many of the themes, even the less obviously STEAM ones, have science tie-ins. Think dinosaurs and activities involving paleontology; explorers and related navigation and astronomy sciences; nature and books, activities, sites, and apps that explore life sciences. I love any opportunity to get families involved in STEAM concepts at home, and the resources in each of the 24 Summer Learning Themes certainly encourage that. 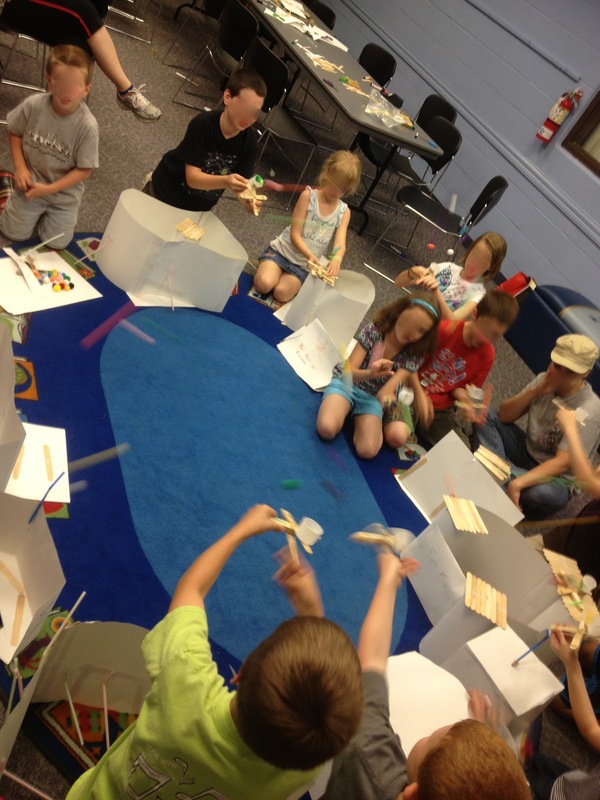 As a result, my bundles encourage STEAM learning, too. These bundles initially took a bit of time to assemble; I needed to find the books from the SWAB theme lists, then choose and print the appropriate activity sheets and print tags. Once I had done the groundwork for the bundles, however, I made extra copies of the resources so that replenishing bundles as they check out is easy peasy (see my 2012 post for the check-out logistics of bundles). There you have it--that's how I thought to use the resources on the Start with a Book website immediately after checking it out. Thanks to this blog tour and its bloggers, however, I now see so many other avenues for using the site. I hope you do, too, and I hope you'll consider Start with a Book as a resource to support you in your summer library services. Please share in the comments any ideas for how you are using/will use the content on Start with a Book in your library! Don't forget to scroll down and enter the giveaway for one of the tremendous book bundles that the folks at Start with a Book have assembled--each on one of the 24 Summer Learning Themes. The giveaway entry form will only work until noon Eastern time on Tuesday, May 21, so get your entry submitted before then! Winners will be contacted via e-mail to arrange delivery. In wrapping things up, I want to say thanks: thanks so much to Tina and Rachael at Start with a Book for first introducing me to this rich literacy resource, and thanks to my fellow bloggers for sharing their ideas on their blogs. And, of course, thanks to you readers for your commitment to always developing professionally. I'm wishing you all summer sunshine and happy reading! Today's stop on the Start with a Book Blog Tour takes place on Reading with Red, where Brooke explores some of the early literacy potential on the site. Head over to read her tips and tricks, then enter the giveaway drawing! For more information on the Start with a Book Blog Tour, check out the opening post. Today's stop on the Start with a Book Blog Tour takes place on Read Sing Play, where Kendra shares some of the resources that she found on the site and plans to use. Head over to see her tips and enter the giveaway drawing! Today's stop on the Start with a Book Blog Tour takes place on Abby the Librarian, where Abby explores the resources available to help librarians support emerging readers. Head over to find her tips and curated links, then enter the giveaway drawing! Today's stop on the Start with a Book Blog Tour takes place on GreenBeanTeenQueen, where Sarah expounds on the ways the Start with a Book theme lists can help librarians help caregivers read to their kids. Head over for great talking points to share with caregivers, and don't forget to enter the giveaway drawing! 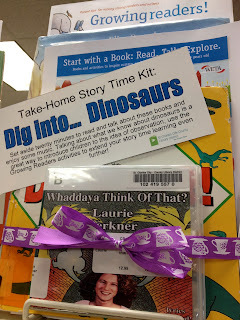 Today's stop on the Start with a Book Blog Tour takes place on Tiny Tips for Library Fun, where Marge waxes excited about the site's 24 Summer Learning Things and some ways they support librarians' work. Head over to catch her enthusiasm and enter the giveaway drawing! Welcome to the Start with a Book Blog Tour! Hello, and welcome to the Start with a Book Blog Tour, a weeklong event exploring and celebrating the resources available to librarians, teachers, and caregivers on the Start with a Book website! Start with a Book is a project by Reading Rockets, a national project that aims to provide research and best practices to those who engage kids in reading--especially kids who are learning to read and those who struggle with reading. Librarians fit very well into the target audience for these resources, as every day we engage pre-readers and beginning readers with books and stories. 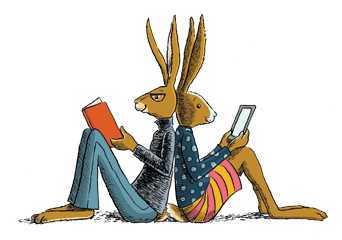 Head to the blogs of these amazing librarians throughout the week to see the different ideas and support that the Start with a Book website can offer to you. And please chime in with comments when you discover your great use for Start with a Book! Before you leave, don't forget to enter our blog tour giveaway. The folks at Start with a Book have put together a wonderful selection of book bundles, each including five great books that match a Start with a Book reading and activities theme. The Music and Musicians giveaway bundle includes such terrific titles as Harlem's Little Blackbird, Zoozical, and Spirit Seeker: John Coltrane's Musical Journey. Other bundles are just as wonderful. Make sure you enter the giveaway by filling out the form below! You'll have a chance to enter on each blogger's site. The remnants of our Skittles experiment. About a month ago, a local elementary school special education teacher called me to find out about my branch's preschool science programs. She explained that her classroom includes the school's most developmentally disabled students, and she had hopes that the preschool science content would be fun and conceptually appropriate for her kids. The only problem, she said, was securing permission and transportation to take the class on a field trip to the library for the program. I never want access to be a limiting factor to what children can benefit from the library, so I offered to bring a program to her classroom. We shared the story White Rabbit's Color Book, then we talked about colors by retelling the story with the help of popsicle stick puppets. Whereas with the preschoolers I had kept hold of the puppets, with this special needs classroom I passed out the puppets to any child interested in holding on to one. Thus I got to engage with each child, and we "retold" the story together. Also, each time we mentioned a color, we looked around the room to see who was wearing that color. Such a simple, effective addition to the program. We used a CD and flashlight to make rainbows. 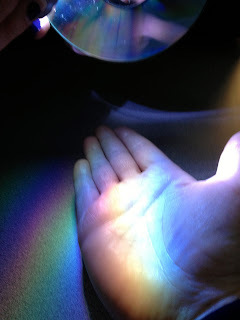 I took advantage of our small, cozy setup and took the CD and flashlight to each child, projecting a rainbow onto their hands, trays, or other light-colored surface that was within their immediate sight. A teacher turned off the overhead lights, and the children loved to see the bright, beautiful colors up close. We did the explosions of color activity with baking soda and vinegar dyed the primary colors. Together we observed what happens when primary colors mix. While some of the kids got involved in guessing what secondary colors would be made--their communication iPads had options for saying colors--all of them paid very close attention to the miniature fizz eruptions. We took turns looking at the color eruptions up close, with the aides carrying the plates to children in wheelchairs. We did the Skittles experiment, placing Skittles in water to see the colors come off and blend. I passed around observation sheets while the teacher and aides set out crayons, and nearly all of the children got to work drawing what their bowls of de-colored Skittles looked like. For the children with limited motor functions, I helped conduct the experiment on their chair trays and talked about the things we could see. I modified the text on my take-home activity sheets, which the teacher was excited to send home with the kids, to inform caregivers that they are always welcome to come to the library to find more stories and activities to share with their children. I wanted to extend that friendly hand to parents who may not consider the library a place for their families. That's how I did the STEM program for a special education classroom at one of my local elementary schools. What you might now be asking yourself is "Why? Why take the time to modify a program and take outreach to an elementary classroom when our outreach is traditionally to preschools and day cares?" Good question. Teachers feel supported. Special education teachers and aides work ridiculously hard; they spend so much time and energy focused on making the school experience as beneficial and comfortable as possible for their students. Anything the library can do to support them, to share some new classroom content that enriches the classroom experience, is a good thing. And having teachers know that the library supports their work? Priceless. Children feel valued. Face it, libraries don't traditionally meet the needs of special needs children particularly well in our usual program and service formats. Even sensory story times and inclusive programming tend to focus on the high-functioning end of the special needs spectrum, thereby excluding lots of kids from some outstanding library services. Reaching out to this under-served population demonstrates that the library truly values and serves all members of the community. The school and library develop a partnership. Special education is often overlooked when outsiders consider schools. By adding this classroom STEM initiative to our collaboration with the elementary school, we show that we are committed to building positive relationships between children and the library in every way possible. That means something to administrators who need to weigh the value of partnerships that may cost class time and staff. It's fun. The kids enjoy new activities, the teachers enjoy a half hour with someone else at the helm while their kids have fun, and the librarian has a great time, too. When a program or service is a win for everyone involved, it's hard to say no. Have you modified any of your programs, or creating programs, for special needs children? Ever visit special education classrooms for outreach? Ideas. They can pop up anywhere! I can't help it--I never completely stop thinking about libraries. I think it's like how your brain will continue working on a problem or complication even while you're doing something else, like cooking or showering or sleeping. When my brain recognizes something with library potential, no matter what I'm doing, it's like a light goes off. Eureka! An idea from an unexpected place. Such was the case over the past week, when I was vacationing in New York City. That is a big city, full of lots of new sensory experiences; sometimes I just quietly take everything in, walking and observing without particular direction or intent. But then, out of seemingly nowhere, BAM! A library connection is made. As an example: I went wandering through the Met a bit, and I found myself in the hall of armor. There happened to be a family art activity going on; the activity encouraged museum-goers to sketch some of the patterns they saw in the armor and then etch their own patterns in art-quality foil. Says my brain: replicate this activity, and throw in some knights-in-shining-armor storytelling to make it a full, robust program. Easy peasy. I hadn't had any further intention in visiting the Met than viewing some great art, but I came out with a program idea. Those things can pop up anywhere! I've gotten random program inspiration from museums, gardens, strolls through neighborhoods...really, inspiration can be anywhere. And thank goodness for that, too, because it helps keep programming fresh, interesting, and engaging--for my kiddos and for me. The topic of finding library inspiration from museums turned into a Twitter convo, then a Pinterest board, between me, Melissa Techman, and Sophie Brookover. Check out the board, which is in its very early stages. What have been your unconventional sources of library inspiration? There's been a lot of back and forth lately about the topic of using technology--namely, tablets and apps--in children's services, especially with regard to preschool-age children. A lot of it has been happening on list servs and in blog comments, and some of it has been heated; this is a topic about which librarians feel strongly. I think it's time I formally weigh in, at least preliminarily. It probably comes as no surprise that I fall on the "pro" side: I do believe that mindfully adding technology to my youth services toolbox is a good, appropriate thing. I've used apps in story time and in school-age programs. I talk to colleagues about best practices and best apps. I actively seek out information that can help me make informed decisions about when, why, and how to incorporate what types of technology with children. And I have two main reasons for doing so. 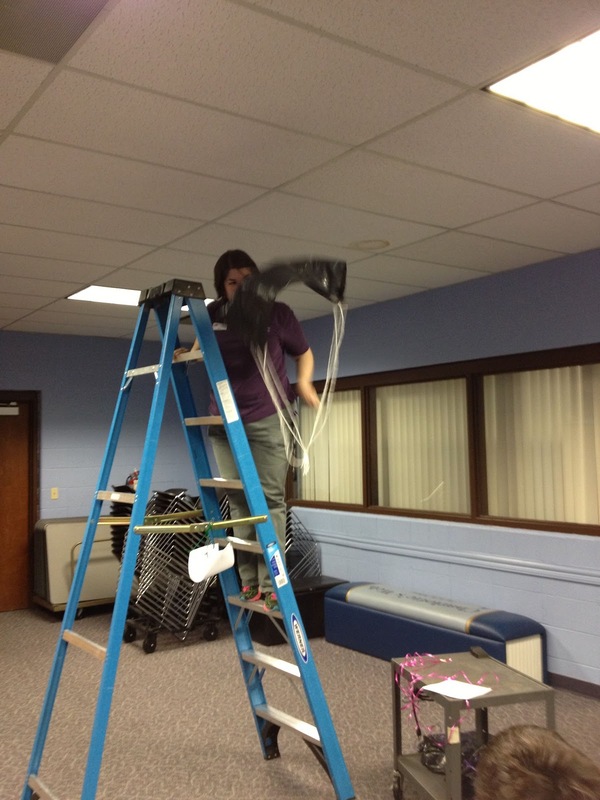 It is my job as a youth services librarian to support and develop literacy, and literacy is multi-facted. So much press and conference time is spent on the message that librarians are early literacy experts. We should be, and we are, but early literacy is only part of the equation. I serve all children with all abilities from all backgrounds; limiting myself to early literacy is excluding a wide range of children I am meant to serve. Children--nay, all people--need competency with a variety of literacies in order to interact productively with the world. Thus I try very hard to support development of all literacies: early literacy, science literacy, cultural literacy, social literacy, and digital literacy. Yes, digital literacy is vital. In fact, research from the Campaign for a Commercial-Free Childhood, Alliance for Childhood, and Teachers Resisting Unhealthy Children's Entertainment indicates that children who enter school without the ability to productively interact with and use technology are at disadvantages and deficits similar to those children who enter school without knowledge of letters and word sounds. I include technology in my children's services because it supports vital literacies, and not all children are able to access materials and develop skills elsewhere. It is my job as a library employee to support my library's vision, which includes customer centered services. That bit about customer centered services is expanded on in our strategic plan, and it involves the following wording: meet the customers where they are. It is becoming ever more apparent, through both formal reference interactions and casual on-the-service-floor conversations and observations that caregivers are using this technology with their children. Using tablets and apps is where they are, and to support my library's vision--to do my job--it's where I need to be, too. I need to be able to engage in the conversations about the topic of technology with children. One way I can do that effectively is to demonstrate how technology can be a seamless part of life's activities where children are concerned. I can show how what adult customers already do with their kids can be done intentionally and meaningfully. Again, based on my library's vision, I believe that's my job. This post doesn't even begin to touch on when and how I use technology in my services to children and their families. And while these are not the only reasons why I do incorporate technology, I believe they are the clearest reasons--perhaps the most obvious to me. As these conversations about the topic continue and develop, I know one of my benchmarks for assessing the services I provide will be the goals inherent to my position as a children's librarian within my institution. Lately I've been thinking about why, specifically, I dedicate work time and energy to working with teen volunteers. Ask many a library person and you'll hear that teens don't always have the best image in the library: they can be loud, unprofessional, unreliable, late, unmotivated. And I can see how that reputation can turn some libraries off from working with teen volunteers, even when they have tasks that could be aided by volunteer hands. Me, though? I think it's worth it. And not just because teen volunteers can do the cutting, stickering, and scanning that aren't high on staff's list of priorities. No, I work with teen volunteers for other reasons. Teens need to see that their communities value them. And the library absolutely does value teens. We value the passion they bring to the things they care about. We value their dedication to their friends, families, and beliefs. 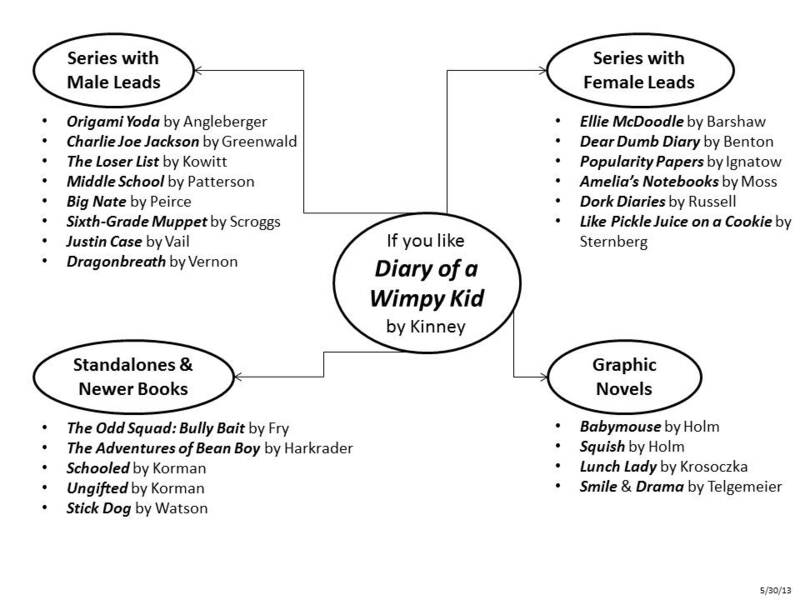 We value their input about what they like to read, watch, and do. And we value the contributions they are able and willing to make to an organization they believe in. Teens need a chance to develop their work ethic and skills. So you think teens are late, loud, and unprofessional? How can they learn to act otherwise in an appropriate environment if we always ask them to leave the library? I am a firm believer that teens need mentoring, even informally, to see that they are worthy of respect and recognition for their work. Teens need to feel that what they do is important. I remember being a teenager with stacks of homework assignments and other tasks that seemed pointless; who were they going to help, really? It is entirely within the power of the library to give teens meaningful work, and to allow them to see the positive impact their work has. Lots of teens need service hours for school, clubs, and applications. And while I recognize that not every teen who submits a volunteer application is gung-ho about the library, I strive to give them the benefit of the doubt. Sure, maybe they're just volunteering because they need so many hours for NHS; but hopefully they can have some positive interactions with adults and other teens in the process. Teens can be tireless advocates for the library. If teens care about something, they will talk about it--to their friends, their families, their acquaintances. I've seen volunteers telling anyone who will listen about the books they "must read." I've had volunteers offer to put signs on their lockers--even wear a sandwich board sign at school--to promote programs and author visits they care about. I've overheard some of my volunteers talking about summer reading at local restaurants, and they don't even realize I'm there. 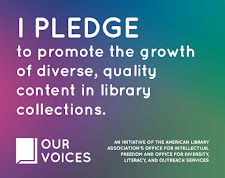 If teens love the library, feel it is a place of value, they will spread that message far better and to more diverse populations than our traditional marketing can do. Teens really are a vital part of the operation of my library. It may take some work and time on the part of staff, but I wouldn't have it any other way. Do you work with teen volunteers in your library? Why? All attendees were asked to bring with them 5 copies of a program plan or outline that is their favorite or has been successful in implementation. For the final hour of the training, then, we focused on our story times--nothing abstract, but our programs over which we have ownership. We talked broadly about what we like and don't like, and then we broke into small groups to swap program plans and ideas. The conversations centered around engagement and the five early literacy practices, and attendees left with a myriad of ideas for new program elements, themes, activities, and formats. Based on conversations I've since had with attendees, this programming workshop has encouraged staff think outside of the box of what they usually do for story time; now there is more focus on what else we can add to support writing, per se, or to engage caregivers as well as kids. I'm excited to see what our district story times look like over the next few months as the training ideas make their way into program plans. What sort of programming training, if any, do you offer your children's staff? Do staff continue to have program training and idea-swapping throughout the course of their employment, or is training mostly limited to time of hire?